There are tons of things you may need on set during any production, but the simplest of these things are often forgotten. With all the hustle and bustle of changing locations, unloading, setting up, tearing down, loading up, driving off, it’s no surprise that the little things often get overlooked. While it would be nice to always have everything you need at your disposal, there’s just not enough pocket space for that! Here are four relatively small items that you should always have on you, whether it’s in your pocket or on your tool belt. This really only is necessary if you’re shooting in a studio or at night. 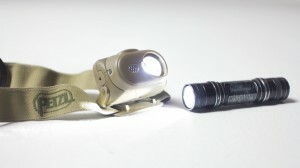 However, even in a daylight exterior a flashlight may be more useful than you think. For example, maybe some gear is still loaded up in the trailer or in a variety of vehicles, your eyes are adjusted to the daylight, once you step into the trailer it’s dark. Rather than wait the time it takes your eyes to adjust, turn on your light! Even if you can see a little bit, it will take you longer to locate the item (especially a small one) without having a good light source. At night or in the studio a flashlight is invaluable going through a pile of gear looking for the right case or item is much easier with a little bit of light. When loading up it’s much easier to locate all your gear which helps prevent smaller pieces from being left behind. I always keep a flashlight in my pocket, and not only on set. Flashlights are useful off the set too! A handheld light is not always convenient, however. It requires you to use up one of your hands (or mouth if it’s small enough) in order to operate. If hands-free is the goal, get a headlamp. Headlamps are incredible tools and are often taken for granted. Sure they make look silly, but their practicality greatly outweighs their goofiness. Even a cheap headlamp is oftentimes better than an expensive flashlight. Make sure you get one that also has a red light option to save your night vision and keep your eyes adjusted to the dark. There are many different styles of multitools out there, any one of them is better than the absence of one. GET ONE. If you can clip it to your belt, do it, if it fits in your pocket, do it. I don’t know how many times someone needs to go looking for a screwdriver to loosen a tripod plate, or a pair of pliers to pry something free, all of these problems can be solved with a multitool. 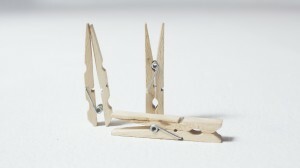 There are many different models, brands and styles. 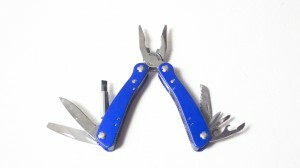 Leatherman and Gerber both make quality products which have a wide range of prices depending on what model. The more tools the better, but make sure they’re easy to get in and out of the handle. Depending on the production, gloves may not be as necessary as the other items, however it’s always a good idea to have a pair on your. 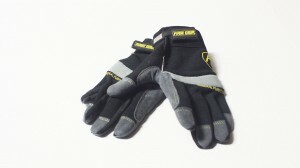 Gloves are essential if you’re going to be handling lights, even the barn doors of a small light can give you a bad burn, or just be too hot to touch and adjust. Put your gloves on, and make your adjustments. Some shield better against heat than others, but even a pair of mechanic’s gloves are great. They’re more form fitting allowing you to maintain some control with your fingers. On the high end, a pair of Setwear gloves are well made and look good. It is also a good idea to get a glove clip. This will keep both your gloves together and attached to you when not in use. Never step foot on a set without having a good number of C-47’s at your disposal. Wooden clothespins are probably the most useful and cheapest tool in the filmmaking industry, so spend the $3 and buy fifty of them. If you didn’t listen to my above advice and forgot gloves, a c-47 can be used to grab a barn door and adjust it. It can be used to temporary label extension cords (stingers). They can be inverted created an A-47- a lowtech pair of tweezers, which can be used to fish a hot scrim out of a hot light (something a gloved hand has difficulty doing). All of these items are relatively inexpensive and easy to come by, just remember to always have them on hand, if not in your pocket then in your tool belt. You don’t want to be the one caught asking to borrow a pair of gloves or a C-47. And if you do lend out your gloves, keep track of them and put your name in them. Gloves have a tendency to get left behind or go missing.